(a) Connect the OBD II scan tool or TOYOTA hand-held tester to the DLC3. 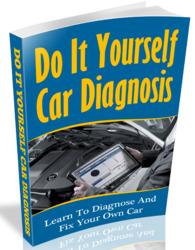 (b) Turn the ignition switch ON and push the OBD II scan tool or TOYOTA hand-held tester main switch ON. 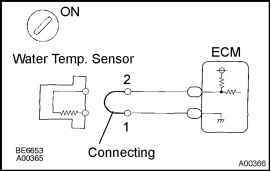 • If there is open circuit, OBD II scan tool or TOYOTA hand-held tester indicates -40°C (-40°F). • If there is open circuit, OBD II scan tool or TOYOTA hand-held tester indicates 140°C (284°F) or more. -40°C (-40°F) ... Go to step 2. 140°C (284°F) or more ... Go to step 4. Check for intermittent problems (See page DI-3). (a) Disconnect the engine coolant temp. sensor connector. (b) Connect the sensor wire harness terminals together. Confirm good connection at sensor. If OK, replace engine coolant temp. sensor. 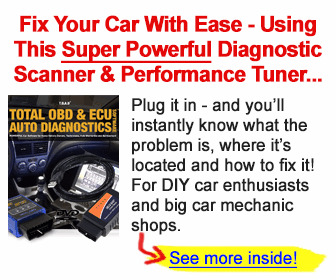 How to connect the check engine checker to a toyota prius?